It was the great desire of pope Clement VIII, to found a mission in Persia with the help of the Discalced Camelites. Accordingly Discalced Carmelites advented to our country in the beginning of the seventeenth century, and founded their first residence at Tattan in Sind (Pakistan) and second in Goa in 1620. The missionary activities of the Carmelites extended to the Southern most part of Tamil Nadu from the 18th century onwards. Around 1780, Fr. Fray Paolino, a Carmelite, who was staying at a chapel near Padmanabhapuram, persuaded the minister of Maharaja to stop the persecution of the people who had been arrested to be hung upon trees, cruelly beaten and terribly tortured. Msgr. Aloysius Maria Benziger OCD, a Swiss-born Carmelite of the Flemish Province, the first Coadjutor (1900-1905) and later Bishop of Quilon (1905-1931) was the one who envisaged the restoration of regular Carmelite life in India. At his time (1930) only the present Diocese of Kottar was created as a new Diocese. At his request the Province of Flanders in Belgium sent a group of three religious on 10th March, 1901 to India. On 7th November, 1913 they started a canonically erected Carmelite House at Thuckalay, which was the Mission residence of them till they handed it over to the Indian foundation on 3rd December, 1929. Msgr.Benziger was instrumental in purchasing the site for the mission of Manalikarai, which was entrusted to the Carmelites in 1950. Fr. Dionysius of Panjampatty is the first Tamil priest who joined the Malabar Province. Similarly Fr. Stanislaus from Thanjavur joined the Manjummel Province. These were the pioneers from Tamil Nadu to join the Carmelite Order. In both the Provinces Tamil vocations increased gradually. The fourth Death Centenary year of our Holy Mother St. Teresa of Jesus, marked very important events in the history of our order in India. When Very Rev. Fr. Philip Sainz de Baranda, the Superior General made his Pastoral visitation to the Order in India, in 1981 the Discalced Carmelite family in India was rearranged into different circumscriptions. The two full-fledged Provinces of Malabar and Manjummel gave birth to three new units: Karnataka-Goa Province, Tamil Nadu General Delegation and Varapuzha Unit, on the basis of language and rite. Thus on 29 June, 1981 Tamil Nadu General Delegation, comprising four houses from Malabar Province and two from Manjummel Province, was established in order to prepare the way for an autonomy. Rev. Fr. Patrick Mootheril, OCD., was appointed as the first Delegate General by Very Rev. Fr. General. He was succeeded by Rev. Frs. Dominic Swaminathan, OCD., Anastase, OCD., and Arulraj, OCD. As the Tamil Nadu General Delegation reached a new era of growth, it was raised to the status of a Commissariate on 17 September, 1990. On 19 March, 1993, Tamil Nadu Carmelite Commissariate was declared a full-fledged Province under the patronage of St. Joseph. Fr. Peter Soosai Raj, OCD., was elected as the first provincial.He was succeeded by Fr. Arulraj, OCD.In the provincial chapter held in April, 1999 Fr. Perianayagam, OCD., was elected as the provincial.He was succeeded by Fr.Peter soosairaj in the following triennium and then Fr. 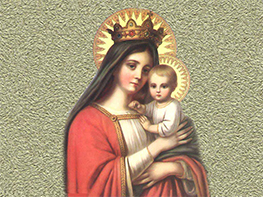 A. Maria David, OCD., was elected as the provincial. He was succeeded by Fr. Perianayagam, OCD. Fr. M.T.Louis Raj, OCD was the Commissar of our Province from 2010-2012. Fr. Dominic Niraml Kumar OCD was appointed as the commissar in 2012. After his demise, Fr. Soosai Rethinam OCD was appointed as the commissar. Fr. Benjamin Franklin OCD., was elected as the Provincial. At present, Fr. Arulraj OCD., is the Provincial of the Province. Today our Province is having 18 Houses and Mission Stations spread over 15 out of 19 Dioceses in Tamil Nadu and Missions in Chuhipali and Jahlap in the State of Chhattisgarh in North India and Missions (Colombo & Galle) in Sri Lanka also with 134 Solemnly Professed, 17 Simple professed members, 5 Novices, 1 Pre- Novice and 9 Candidates. 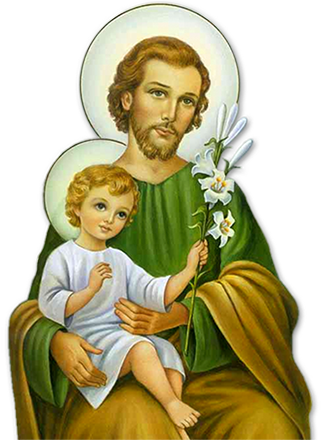 By the blessings of God and by the Protection of St. Joseph, the patron of our Province, it is enthusiastically marching towards a better future with great dreams of realization of kingdom of God here on earth. Our Theology Students, residing at our Theological College Edamalaipattypudur, Trichy, attend their Theological courses in St. Paul's Regional Seminary, Tiruchirapalli with Bachelors in Theology (B.Th.). They are provided amble opportunities for theologizing in the context through exposure camps and field experiences. Combined with graduate studies at University, our philosophy students at Carmel Philosophy College, pushparam are given religious and priestly formation.They attend Arul Anander College in Karumathur for their university studies. Based on our local ratio(Document on Formation) our Province aims at giving integral formation to our aspiring candidates from the very initial stage of formation. As part of our ongoing formation our priests are sent to Italy, Germany, England, Ireland, Austria, Spain and United States. Our Province maintains good relationship With other Provinces through IPCI., Through organizing inter Provincial Formation Programmes. Theology students meet gives opportunities to build up good relationship with theology students of other Provinces which paves way for working together in future. While Keeping in mind, the general spirit of the order, our Province tries to respond to the church and to the world with its vision of “Total involvement Towards an Integral Society”. As mile stones in this line ,Our Province has been undertaking from 1995 onwards the following mission parishes in the very rural and backward areas: Duraisamiyapuram in Palayamkottai(1995), Thummuchinnampatty in Madurai (1998), Narasinganur in Pondichery (1998), KurukKuchalai in Thoothukudi (1999), Thaneerpandal in Vellore (2004), Puzhuthipatty in Dindugal (2009). Responding to the spirit of the order our Province has undertaken various spiritual and direct social work projects in TamilNadu our communities the formation houses as well as parish houses have undertaken various spiritual activities among the clergy, the Religious and the Laity. As one of its top priorities the Province has undertaken to raise the literacy level in all the rural mission parishes. While educating the poor children in our and Diocesan institutions, the Province has established Industrial Training Centres to formal and nonformal education for future this gives us an opportunity to form them with the Gospel and Carmelite values. Our Province has undertaken publications such as writings on Carmelite spirituality, Devotional song cassettes and CD-s in tamil. In the past Years, steps have been taken to promote OCDS in our Province.There are 30 units of OCDS in Tamilnadu. Our Province is also running welfare centres such as V. Guard stabilizer units, Carmel Book Binding and Tailoring Centres.To Coordinate and promote the social work projects in the Province, DCMSSS (Discalced Carmelite Multi Purpose Social Service Society) is functioning from 1999. In the silver jubilee year of Tamilnadu Carmelite Province (2006) two Mission stations, chuhipali and jhalap were undertaken by the Province in the Arch – Diocese of Raipur. At present four priests and one Deacon are serving the mission stations. Our Province has undertaken to run non formal school for children and TTC. These mission stations provides a great opportunity for the Province to implant our holy order in chhattisgarh. At the request of Bishops in Tamil Nadu for the Pastoral assistances in their Parishes we have lent 2 of our Priests to different Dioceses in Tamil Nadu. It builds up the relationship with the Diocesan clergy and Bishops. We have been trying to launch our mission in Sri Lanka, since 1997. Due to war and political discomforts we were not able to realize our vision. After many trails and struggles, Carmelites from Tamil Nadu are there. We began our Sri Lanka Mission on 16th August 2014 when Rev. Fr. Benjamin Franklin OCD, was Provincial Superior. The pioneers were Fr. Peter Soosai Raj OCD and Fr. Louis Arockiaraj OCD. At present, five of our friars are serving in two Mission Stations; Colombo and Galle. Responding to the call of the hour, our Province has undertaken various services outside the frontiers of India. At present, Nine of our Priests are serving in Italy, Nine in Germany, One in Austria, One in Qatar, Three in England, Three in USA and Five in Spain. In our Tamil Nadu territory, there are ten Cloistered Carmels among which two (Shembaganur and Trichy) are under the jurisdiction of the Order, and eight (Pondicherry, Kumbakonam, Coimbatore, Yercaud, Thanvajur, Thoothukudi, Sivagangai and Chingleput) are under the jurisdiction of the Bishops. Our Province maintains good relationship with our Cloistered Carmelite nuns by rendering spiritual assistance.